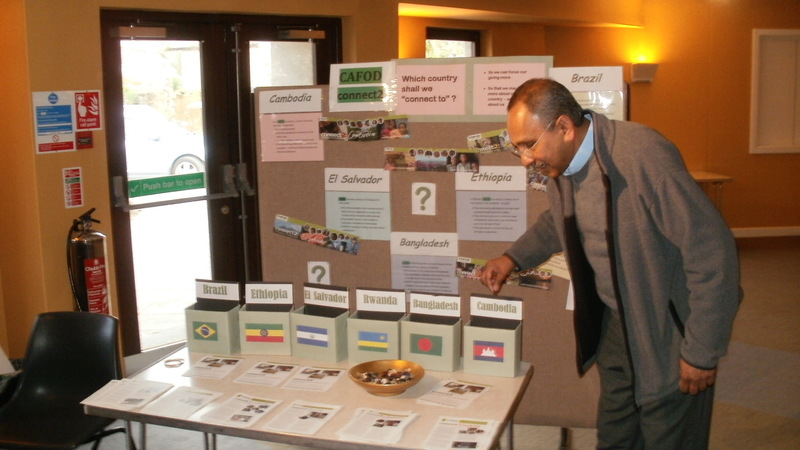 Choosing a CONNECTION – St Augustine’s parish vote for their Connect2 country. 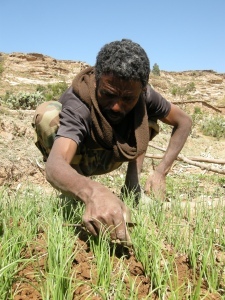 Parishioners from St Augustine’s, parish in St Austell have chosen to connect in solidarity with the people of Adigrat diocese Ethiopia though the Connect2 Ethiopia program. The Justice & Peace group at St Augustine’s parish wrote the following article for us. “In our parish, the Justice & Peace Group looks after CAFOD. As a group, we were keen to support CONNECT 2 but didn’t feel that the choice of country should be made by a small unelected group. With the wholehearted support of our Parish Priest we therefore organised a parish election – it was a ‘shot in the dark’ and we had no idea how well it would be supported. The event was spread over three week-ends – on the first one we put a small paragraph in the newsletter and enclosed the summary leaflet about CONNECT2. The following week-end we made a presentation – in the homily slot – at all masses and stressed that the project was about communication, understanding and solidarity rather than just another fund-raising venture. We also mounted a display and set out 6 boxes, one labelled for each country, with a dish of buttons, inviting parishioners to put a button in the box of their choice. We also put out the more detailed leaflets about the individual countries. We would like to thank the whole parish for their great support and love of CAFOD over the years. To find out more about Connect2 Ethiopia visit the Connect2: Ethiopia website. This entry was posted in Connect2 and tagged advocacy, aid, aid work, CAFOD, CAFOD PLYMOUTH, Campaign, Connect2, emergencies, fund raising, Fundraising, Make your money count, News, Plymouth, Successes by CAFOD Plymouth. Bookmark the permalink.